Do you want to find a luxury hard wall tent for colorful and romantic wedding party? Attached photo shows our luxury hard wall marquee for outdoor business fair in China, It’s original from Liri Tent, which is verified! It can contain about 400 or more people. 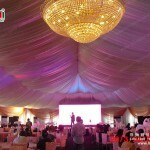 The clear-span width for luxury hard wall marquee is 20m. Sizes 10m, 12m and 15m, 20m, 21m, 25m are available. 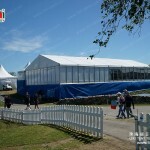 The clear span width of our tents is from 3m to 60m and the length is unlimited. 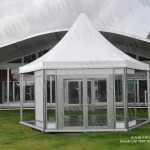 We can design most suitable tent to you according to your requirement. The length of the luxury hard wall marquee could be 20m, 25m, 30m and +5m more, It can be designed according your special requirement. 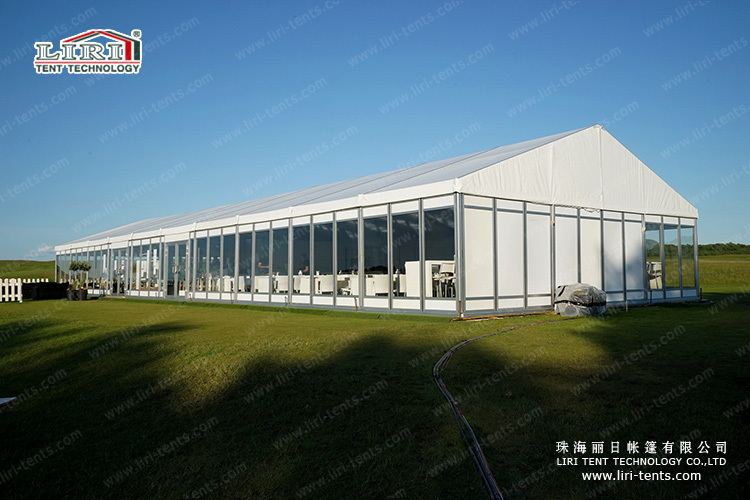 the outdoor ABS wall tent 20m used the aluminum frame and PVC roof cover, it can provide the perfect space solutions for your outdoor event. 1 Frame uses hard pressed extruded aluminum 6061/T6(13HW). 2 The fabric is double PVC-coated polyester textile. It is high quality at waterproof, flame retardant to DIN4102 B1, M2, UV resistant. 4. 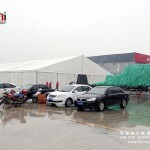 The maximum allowed wind speed of the outdoor ABS wall tent 20m is 100KM/h. 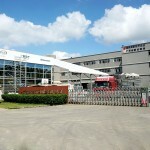 The security and variability of our products have reached the standard of similar products in Europe. 6.3 Easy to be assembled and dismantled, removable. Fabric: wooden floor, glass door, glass wall, glass window, ABS hard wall, steel sandwich wall, ground anchors, anchor puller, weight plate, sidewalls with PVC-clear window, rain gutters, decoration ceilings and inside curtain, ramp, transport rack.